George Davies has a broad common law and commercial practice. 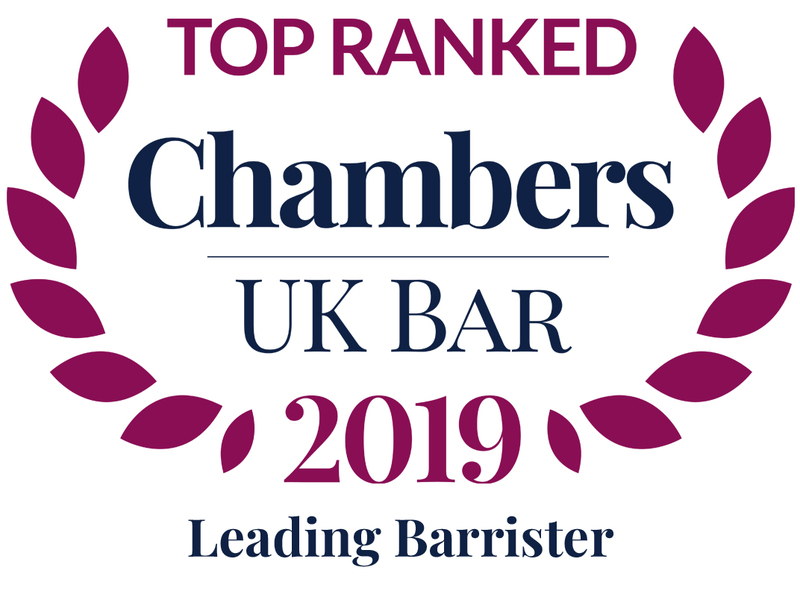 His common law work includes acting for insurers in the defence of fraudulent claims, acting for both claimants and defendants in personal injury work as well as representing interested parties at inquests. George also undertakes an increasing amount of commercial work in the High Court (including civil fraud and contempt proceedings). George first gained experience of civil fraud proceedings whilst working as a litigation solicitor in the London office of Baker & McKenzie LLP. Whilst working as a solicitor, he was seconded to the FSA’s Enforcement Division leading to his experience of regulatory and disciplinary work. Currently acting for an individual investor against an asset management company. The case concerns alleged professional negligence and alleged breaches of various regulatory standards. Acted for the claimants in contempt proceedings brought against an individual who was the subject of a domestic freezing order. Acted for TFL in a week-long inquest involving the death of a young pedestrian. Junior counsel for the FSA in successful market abuse proceedings brought against a manager who had been employed by a UK Plc. McCaughey v USA  EWHC 248 (Admin). Please see link below for Issue 7 of TGC Fraud Update, a publication we have set up with the stated aim of facilitating the sharing of information about decided claims involving issues of road traffic fraud and related matters. Please see link below for Issue 6 of TGC Fraud Update, a publication we have set up with the stated aim of facilitating the sharing of information about decided claims involving issues of road traffic fraud and related matters. Stemming the tide of the fraud. Please see link below for the third edition of TGC Fraud Update, a publication we have set up with the stated aim of facilitating the sharing of information about decided claims involving issues of road traffic fraud and related matters. Facing up to the challenge of fraud rings. Please see link below for the second edition of TGC Fraud Update, a publication which was set up with the stated aim of facilitating the sharing of information about decided claims involving issues of road traffic fraud and related matters. Thank you also for all of the kind words and helpful feedback received about the inaugural edition. TGC Fraud Update February 2018, a publication we have set up with the stated aim of facilitating the sharing of information about decided claims involving issues of road traffic fraud and related matters. TGC Fraud Update September 2017, a publication we have set up with the stated aim of facilitating the sharing of information about decided claims involving issues of road traffic fraud and related matters. Thank you for choosing to instruct me in your case. I will need to collect and hold your personal information in order to represent you. I will take all possible steps to protect your personal information. I am determined to do nothing that would infringe your rights or undermine your trust. This Privacy Notice describes the information I collect about you, how it is used and shared, and your rights regarding it. I am registered with the Information Commissioner’s Office (ICO) as a Data Controller for the personal data that I hold and process as a barrister. My registered address is Temple Garden Chambers, 1 Harcourt Buildings, Temple, London, EC4Y 9DA and my registration number is Z 2386172. All the information that I hold about you is provided to or gathered by us (i.e. your solicitor, where applicable, and me) in the course of your case and/or proceedings. Your solicitor and/or I will tell you why we need the information and how we will use it. The legitimate interests of myself, or a third party, except where such interests are overridden by the interests, rights or freedoms of the data subject. My Lawful Bases are: (i) consent of the data subject and / or (ii) performance of a contract with a data subject or to take steps to enter into a contract (iii) compliance with a legal obligation and / or (iv) protection of the vital interests of a data subject and / or (v) the legitimate interests of myself, or a third party, except where such interests are overridden by the interests, rights or freedoms of the data subject. My Legitimate Interests are: (i) your status as a client and / or (ii) processing to prevent fraud and / or (iii) reporting possible criminal acts. Make statutory returns as required by HMRC. Any other party where I ask you and you consent to the sharing. I do not transfer any personal data to third countries or international organisations. You may opt out of receiving emails and other messages from my Chambers by following the instructions in those messages. Analyse site visits and trends. I will occasionally update my Privacy Notice. When I make significant changes, I will notify you of these (so long as you remain a client) through either mail or email. I will also publish the updated Notice on my website profile.